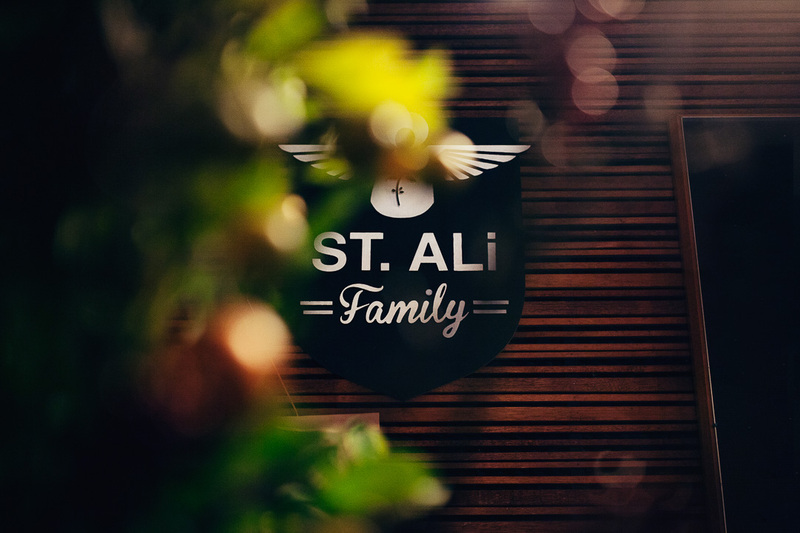 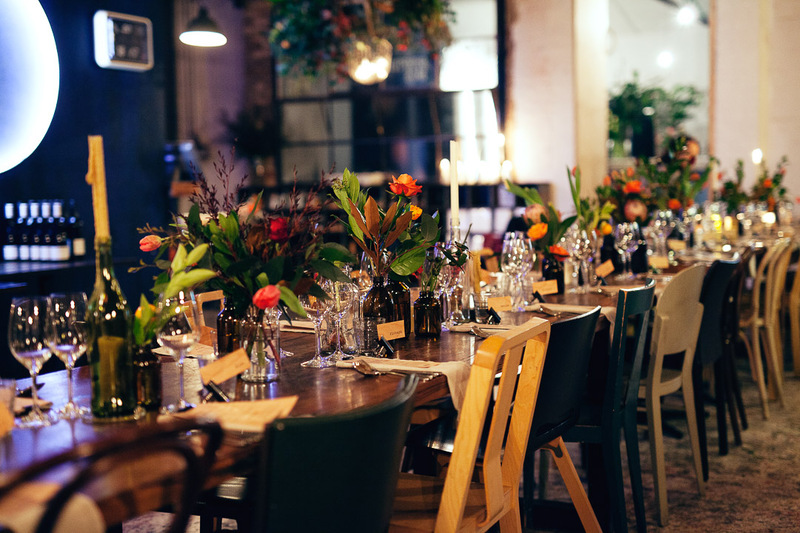 Tourism Victoria hosted a VIP dinner for 45 of their international guests, at St Ali in South Melbourne. 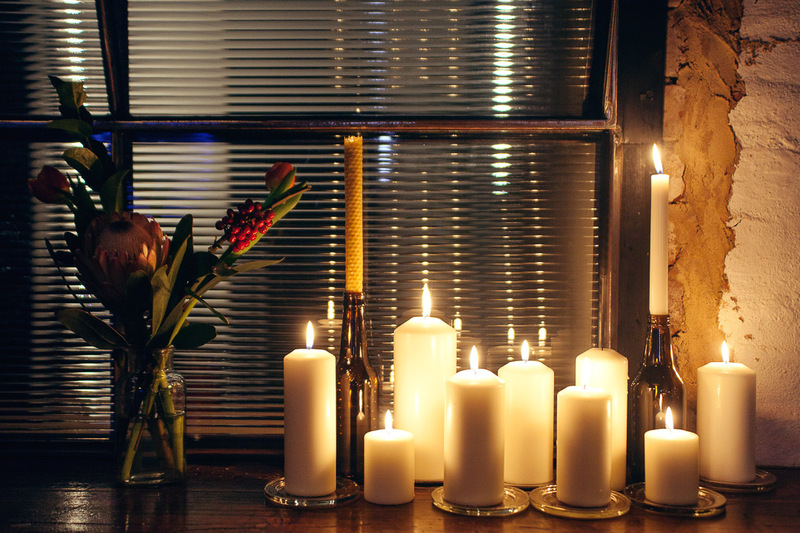 The brief was to ‘keep it Victorian’, with a rustic ‘out in the woods’ look and feel. 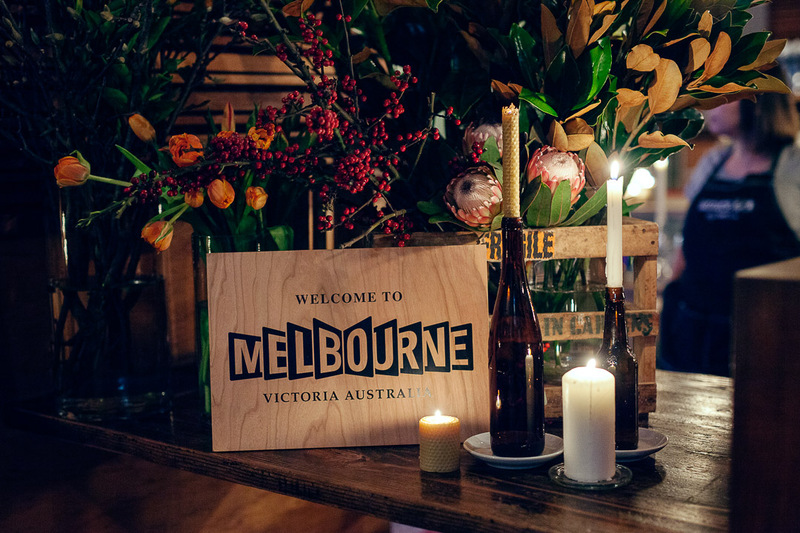 Set at the entrance of this typically Melbourne industrial space was a custom Welcome to Melbourne sign, block printed on cherry wood. 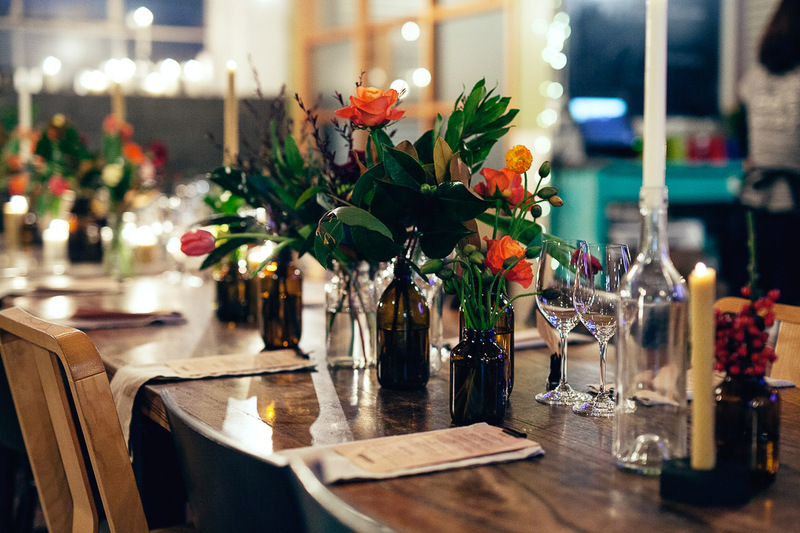 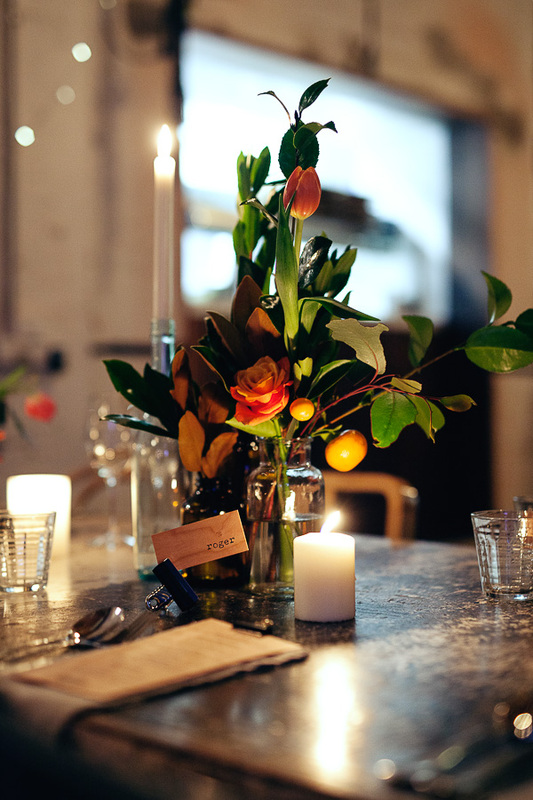 The dining tables filled with bottles of foliage and also, pops of floral. 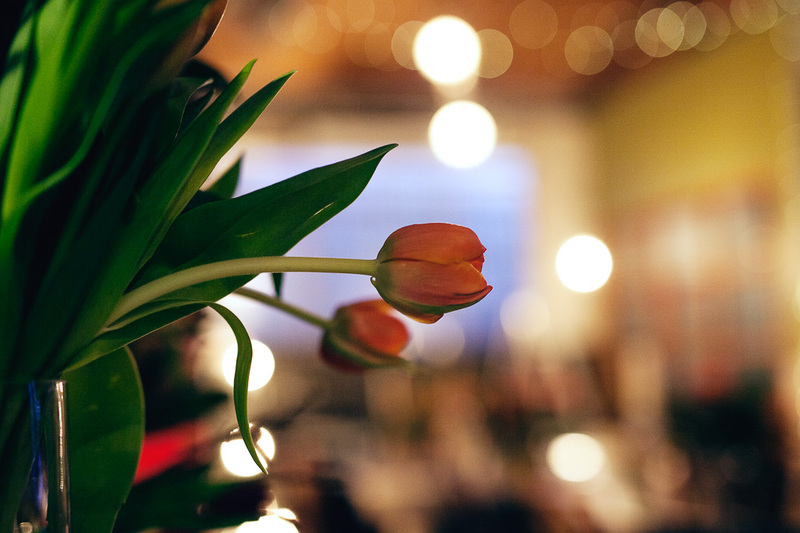 Additionally, suspended wooden crates hung as a feature filled with lush Victorian foliage, proteas, and tulips. 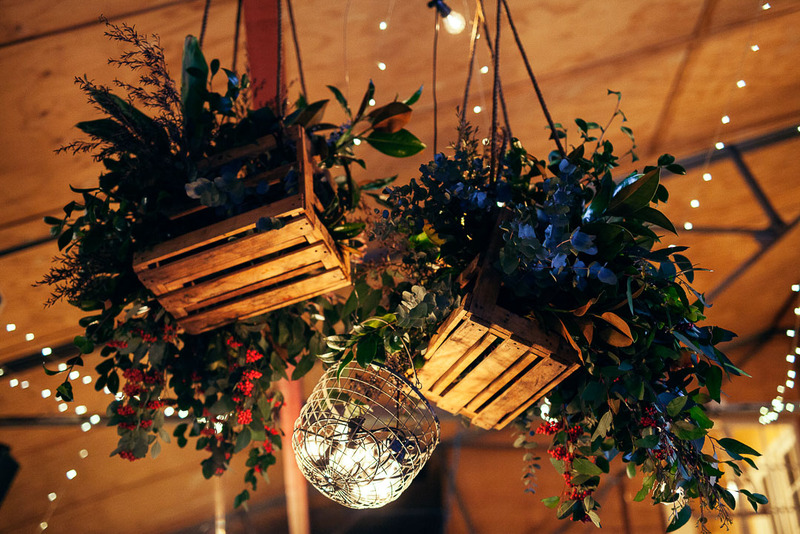 These were complemented by a hanging steel basket of festoons bulbs. 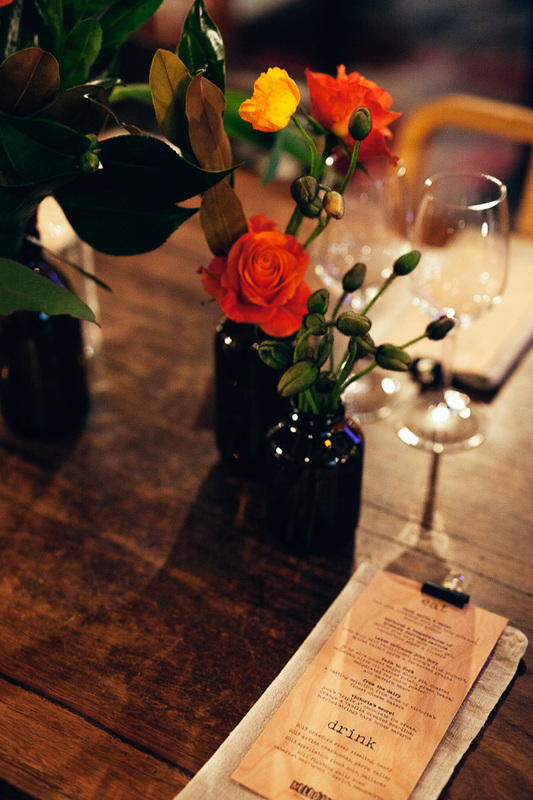 The tables styled with more metal, wood and natural textures. 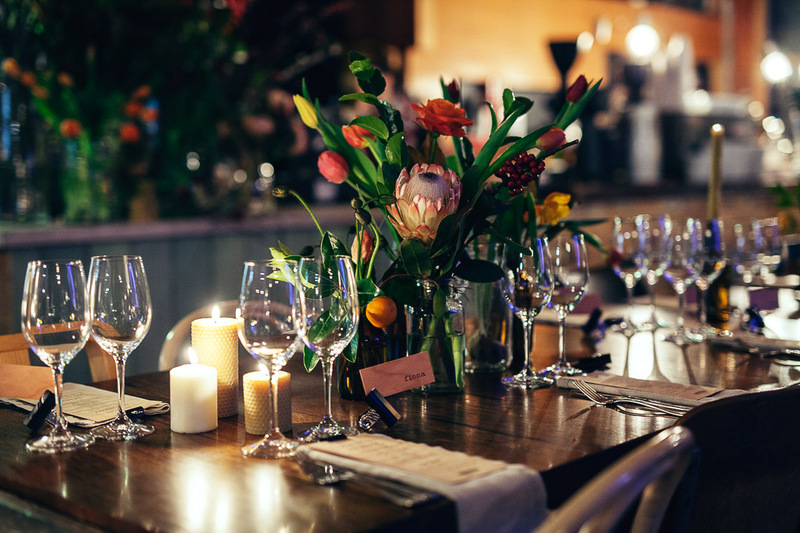 Each place setting set with a natural linen napkin, menus printed on cherry wood and attached with a steel bulldog clip as were the personalised wooden place cards. 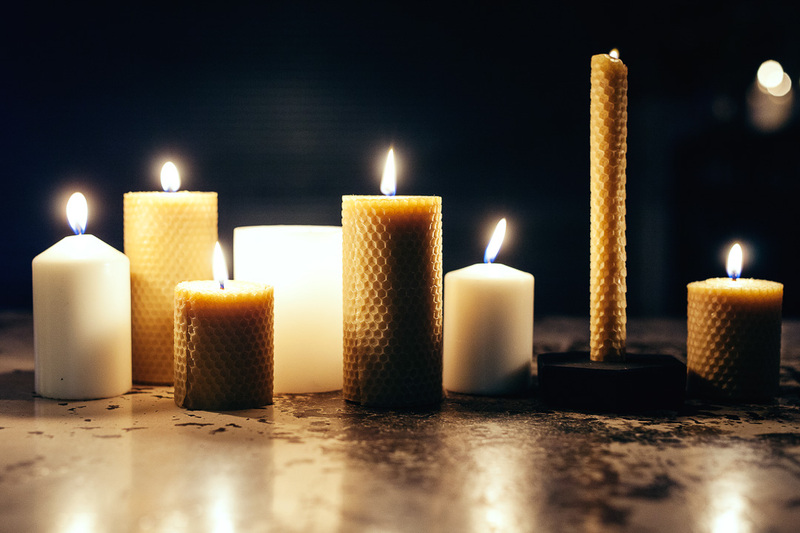 Finally, the warm light from dozens of Melbourne-made, hand-rolled beeswax candles brought it all together!